Not surprisingly this beauty is at the top of the CGC census! 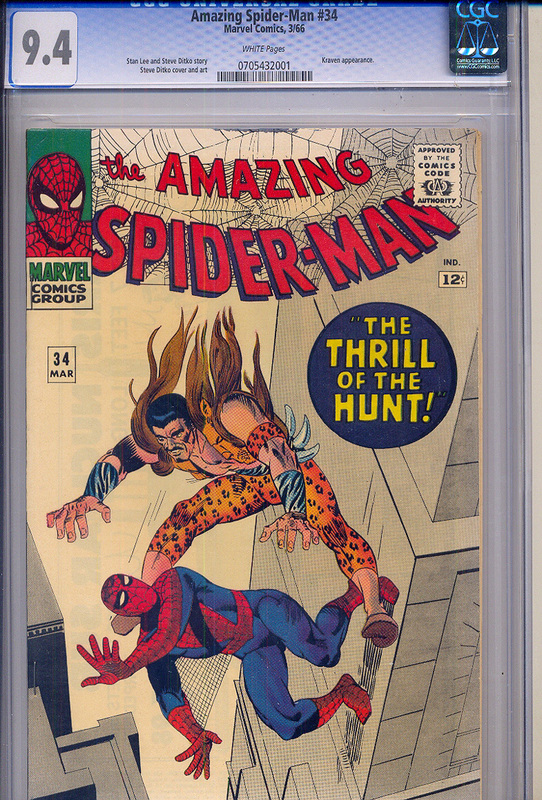 Not that you need much more than that, but this is also the 4th appearance of Kraven the Hunter. Overstreet 2006 values: NM- 9.2 = $360. 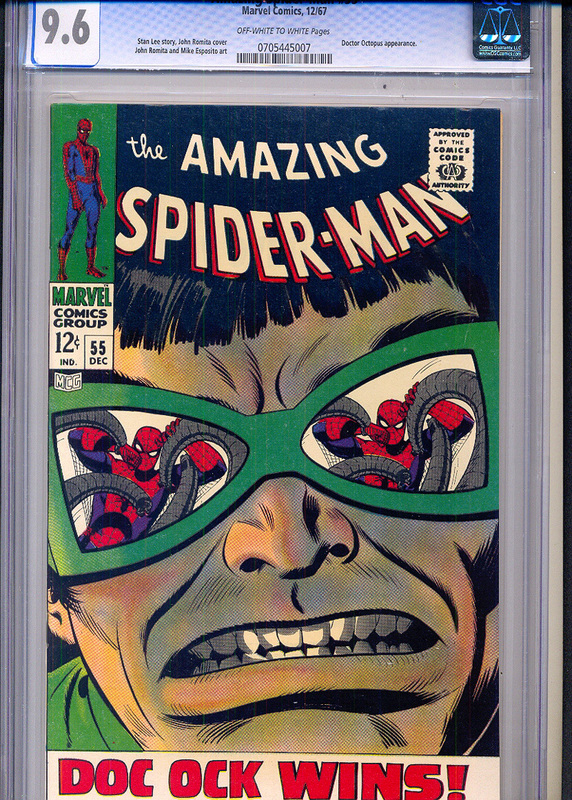 If you don't want to spend the money for the top 9.6 copy on the CGC census, than this copy is just right behind it! 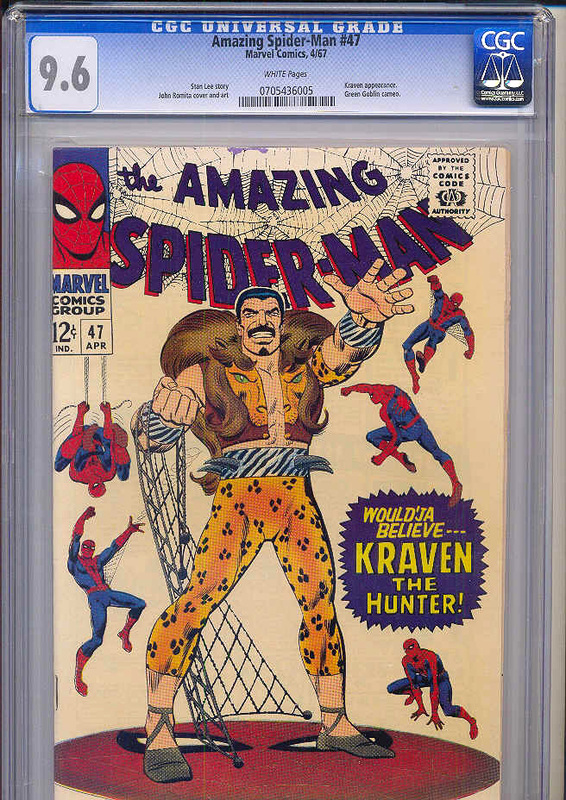 It is also the 4th appearance of Kraven the Hunter. 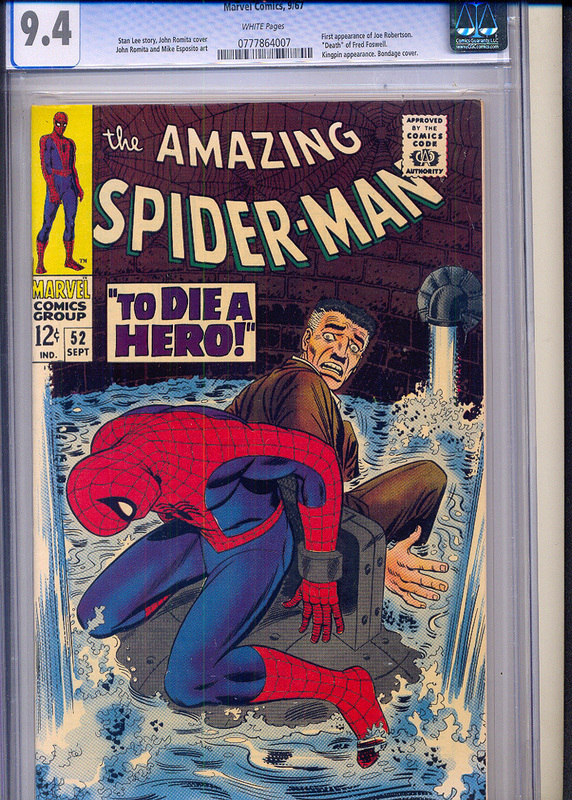 This is the 2nd brief appearance of Mary Jane Watson, and the last Ditko issue. Overstreet 2006 values: VF/NM9.0 = $264; NM- 9.2 = $360. 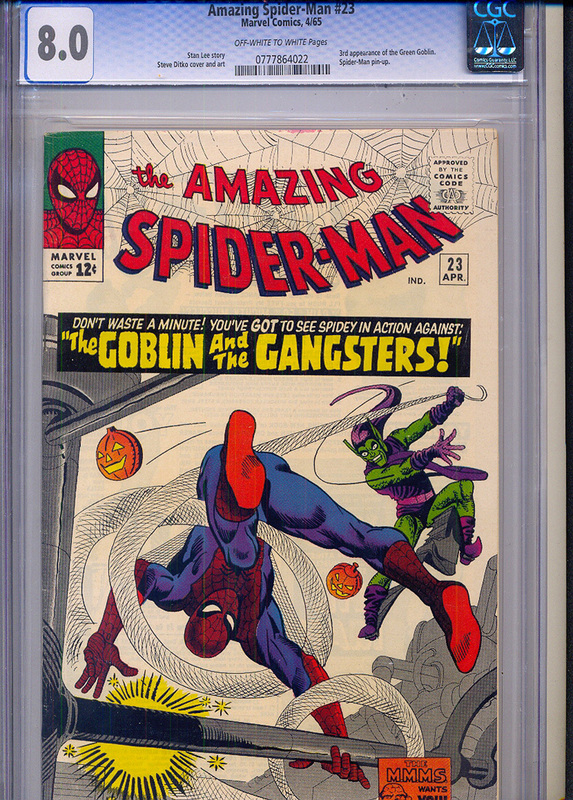 This is a beautiful copy and no wonder, it tops the CGC census! Overstreet 2006 values: NM- 9.2 = $230. 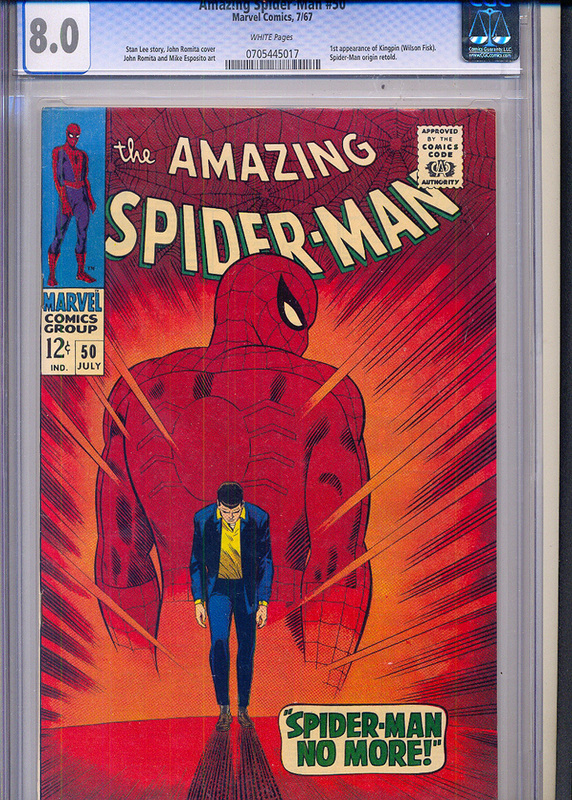 Not surprisingly this beauty is at the top of the CGC census! And this is the issue where Peter Parker and Mary Jane first date! Aw c'mon, you can't beat that! Overstreet 2008 value: NM- 9.2 = $285. 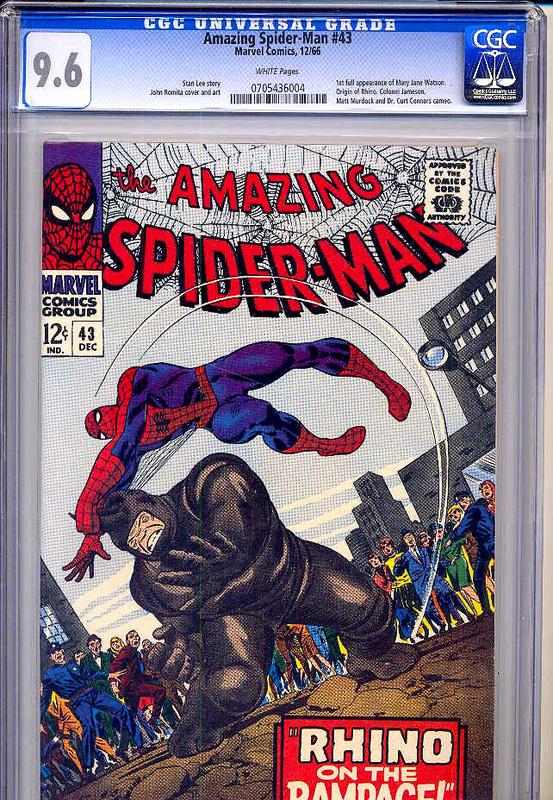 The first appearance of one of Spider-man's most notorious enemies - THE KINGPIN! Overstreet 2006 values: VF8.0 = $425; VF/NM 9.0 = $713. 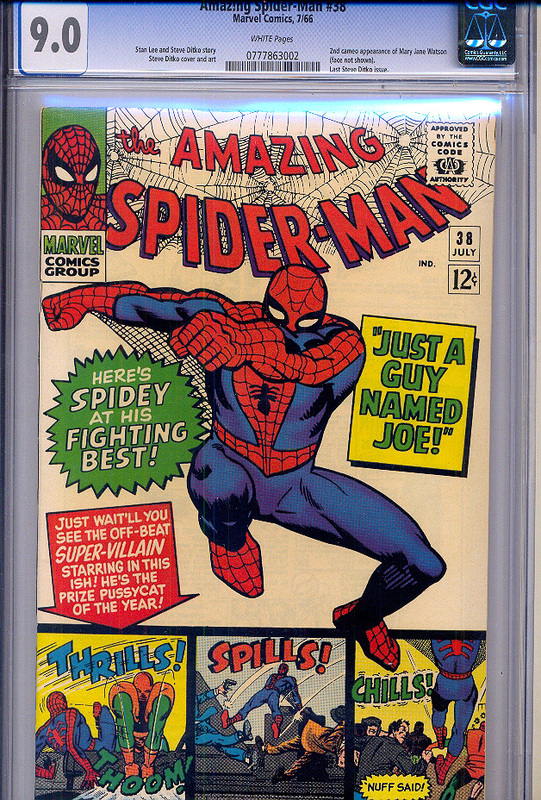 The first appearance of Joe Robertson, Peter Parker's colleague at the newspaper, and the 3rd appearance of the Kingpin. Overstreet 2006 values: NM- 9.2 = $170. 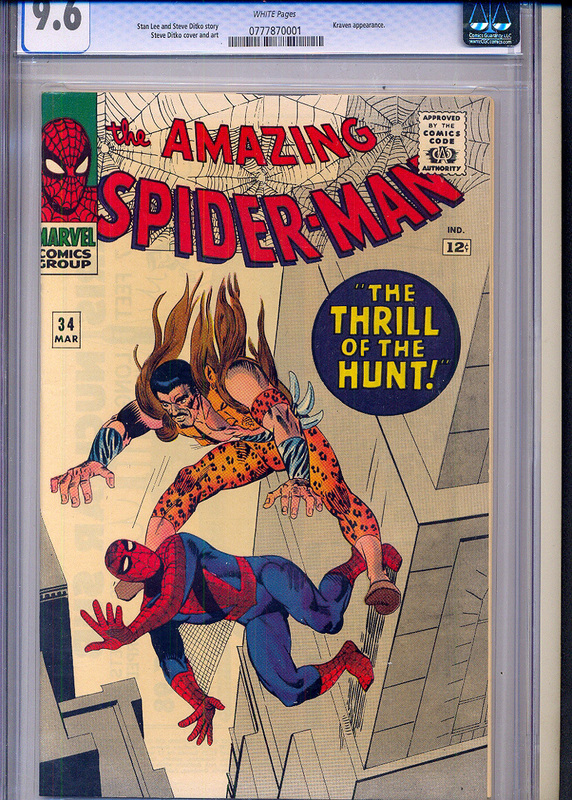 The star villan of the second Spider-man movie appears in this highest graded CGC copy! 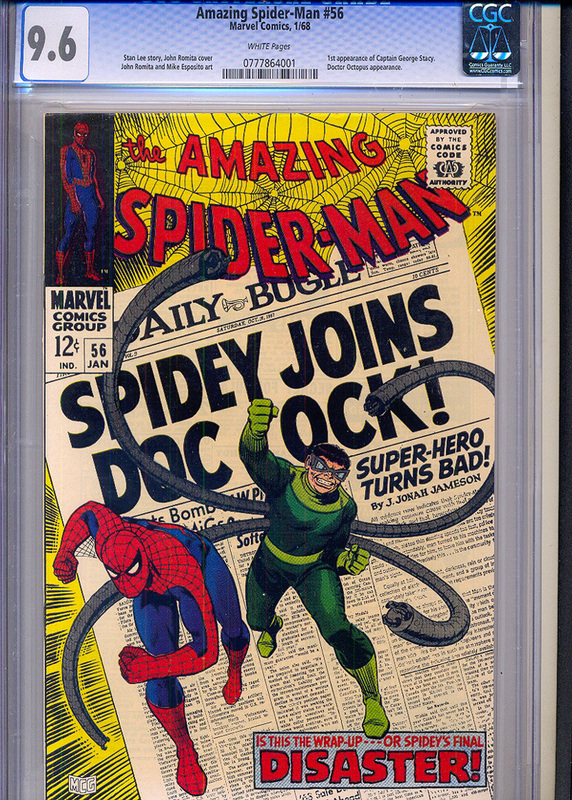 This book features the first appearance of Gwen Stacy's father Capt. George Stacy.